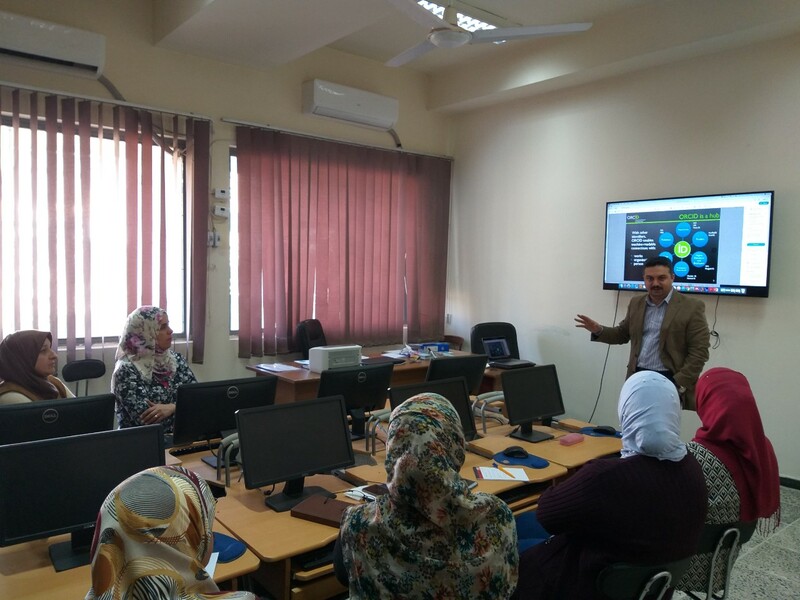 Ibn Sina Unit at the college of science at University of Baghdad organized a specialized course entitled “ORCID as the e-researcher fingerprint” with the participation of a number of teaching staff, researchers and postgraduate students. This course was delivered by Dr. Mohammed Sabah Hussein with the aim to encourage researchers to learn about ORCID Platform which is one of the fingerprints of the researcher and its scientific benefit to researchers and how to participate in to enrich scientific research in Iraq and broaden our participation in international symposia and forums. This platform is a non-profit body that distinguishes researchers and scientists by giving them an identification code that enables them to document all their events (research, professional activities, grants).